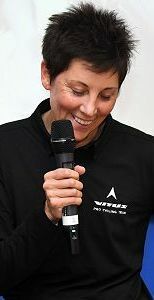 Cherie Pridham, the owner and manager of the Vitus Pro Cycling Team, p/b Brother UK, says her significantly strengthened squad, unveiled last week in Derby, will succeed through teamwork and by balancing the hunt for victory with opportunities for all. 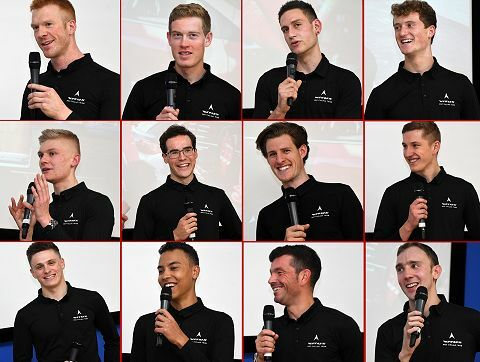 Pridham’s team has gained genuine strength-in-depth from nine new signings, headlined by Ed Clancy, a triple Olympic champion. Clancy will use his commitments with Pridham’s team to prepare for the 2020 Olympic Games in Tokyo, where he will bid for a fourth gold medal, if selected. 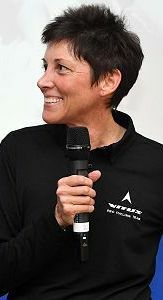 Pridham, who raced at the highest level, and whose managerial successes include victories in several of Britain’s biggest races as well as the Premier Calendar series, said that while her new squad had a range of talent broad enough to approach every race with victory in mind, teamwork would be its first priority. She appeared for the first time with her new rider roster at a private gathering for fans, sponsors, and invited media at the University of Derby’s £11m sports facility last Thursday (November 22). 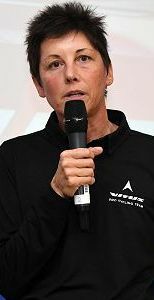 “With the professionalism of the riders and my support crew of staff and sponsors, the strength-in-depth we now possess as a squad is unmistakable,” she said. “Every single race will be important for us. It’s down to me to deliver successful strategies to win as many races as we can, and to look for victories whenever we can. We have riders of real pedigree throughout the squad, including proven winners”. Pridham’s tireless efforts at the end of the 2017 season put her team back on the start line in February with a new title sponsor (Vitus Bikes). Despite fielding a very young squad for what she described as “a transitional season,” the team has maintained the support of key sponsors and attracted new, carefully selected supporters. Clancy confirmed at the team’s inaugural meeting that he would fight for a place on the Great Britain squad for the Olympic Games in Tokyo in just two years time. 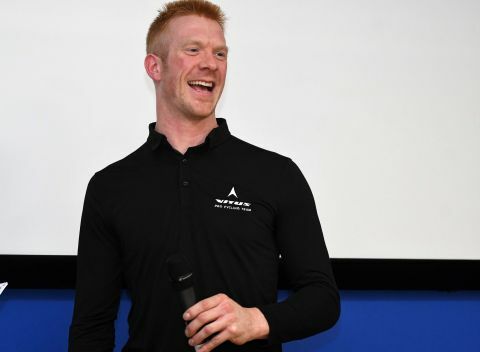 Clancy, who won his first Olympic gold medal in a men’s team pursuit squad alongside Sir Bradley Wiggins and Geraint Thomas at the 2008 Games in Beijing, will use Vitus Pro Cycling Team’s crit racing campaign, including the televised Tour Series, to hone his form. 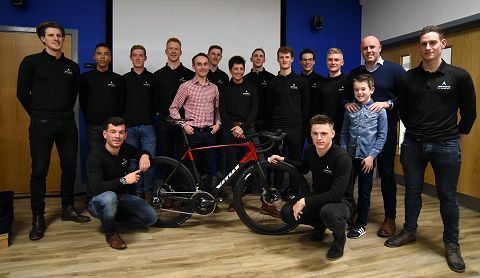 Vitus Pro Cycling Team, p/b Brother UK has adopted a values-based approach to cycling, and engages with backers who share the team’s five core values: Responsibility, Activity, Teamwork, Innovation and Opportunity (RATIO). Tyre sponsor Schwalbe, for example, embodies environmental responsibility and technical innovation, having invested €20m in a state-of-the-art, eco-friendly marketing and R&D facility in Germany, while developing the innovative Pro One Evo MicroSkin TL-Easy tyres that Pridham’s team will race with next season. Brother UK is the supporting headline sponsor of Vitus Pro Cycling Team and among the most admired supporters of British cycle sport. 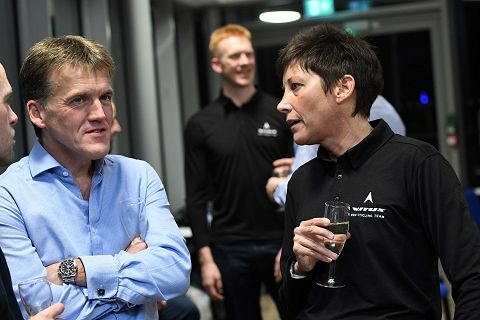 The Manchester-based technology business sponsors five domestic teams, and serves as event sponsor and official print and results partner to the Tour of Britain, the Women’s Tour and the Tour Series. Additionally, it operates a fleet of Skoda Superb neutral service vehicles, equipped with Canyon Bikes, which serve the men and women competing in British Cycling’s top-tier races.